I love when amazing discoveries come with a story. 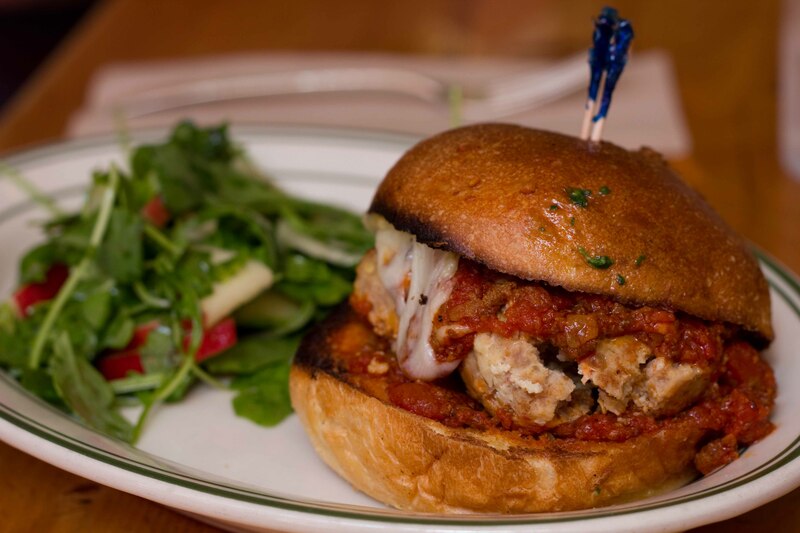 So this post is the story not only of finding the most amazing meatballs, but what brought us there in the first place. We saved the best for our last night in New York. After a yummy dinner at Yakitoi Totto, Ben and I made our way to Little Branch on a Sunday night cocktails and jazz. This hidden speakeasy would have been difficult to find had I not known to look for the random unmarked door on the corner of 7th and Leroy. We walked right in, but were told we would have to wait for a table. No worries though as there was a holding area with access to the bar. I had heard fantastic things about Little Branch, so when it was time to order, I asked for the bartenders choice, giving her my usual criteria, “fruity but not too sweet, not too bitter and no rum”. I can’t remember what I got, but all of the drinks I had were AMAZING, (and I have really high standards). While we were waiting for our table, we ended up cramped in the corner but were lucky enough that a nice couple offered to move over a bit on the ledge they were sitting on to let us in as well. We were luckier to find out that this couple were drink/food lovers and locals as well! We were not only fortunate enough to talk food with them all night, but were also left with an extensive list of local “must try’s” on a cocktail napkin. 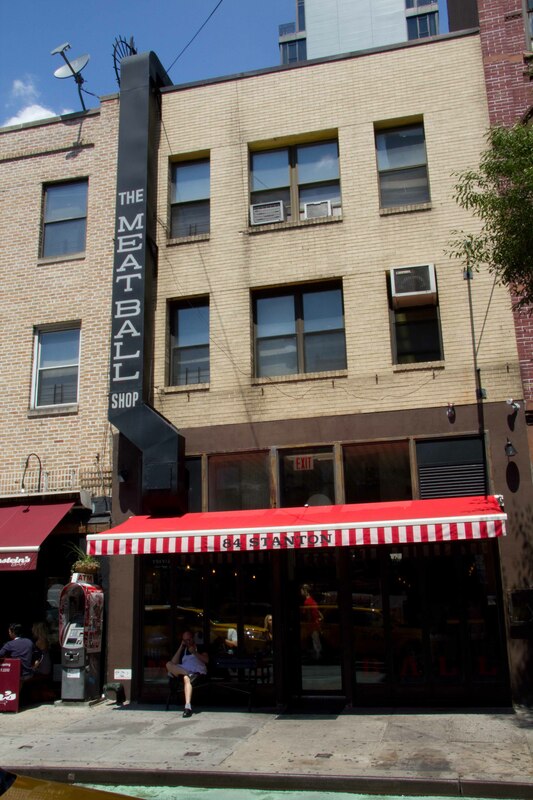 Out of every thoughtful suggestion, the one that intrigued me the most was The Meatball Shop on the Lower East Side. Only open a few months, I have a feeling this place is going to become “found” and you won’t be able to walk in and grab a seat like we did. The menu is laid out like an order form. 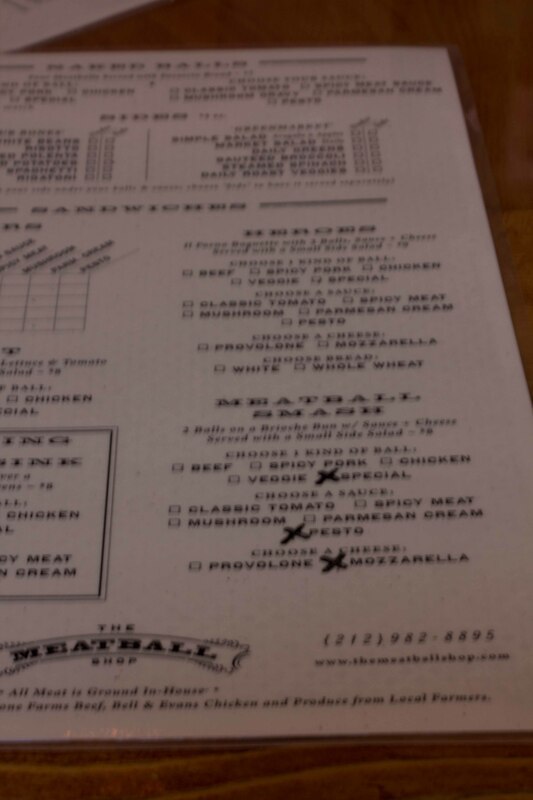 Just tick off the type of meatball, sauce, cheese and vehicle you want. 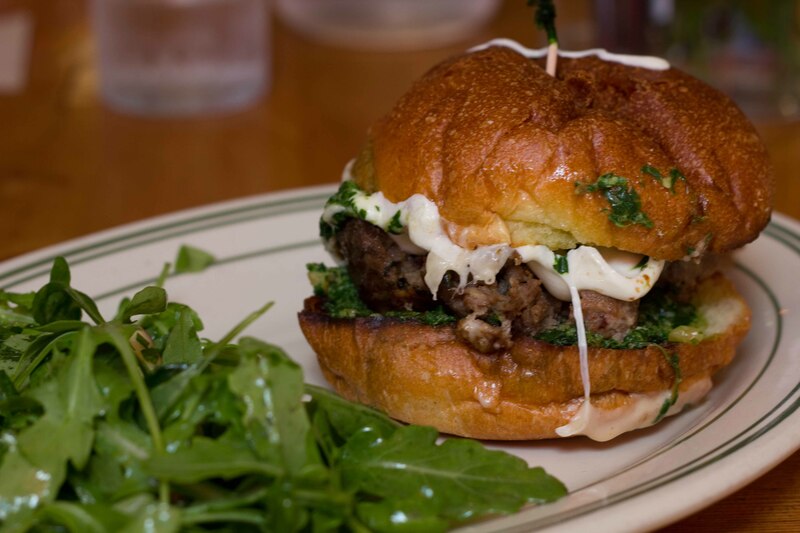 I ordered the meatball smash with 2 lamb meatballs, pesto and mozzarella. I could eat this every day. Ben got the pork meatball with spicy meat sauce and provolone. Ben and I went halfers and although I was sad to give up half of my lamb, this may have been even better. Unfortunately, we were so full from the sandwiches that we didn’t get to try the ice cream sandwiches. Like everything else on the menu, they are custom-made to order, so you can pick the type of cookie and the type of ice cream you want. I saw others eating them and they looked so yummy but unfortunately I didn’t have the room for it. With only a day left, we weren’t able to try out more than one suggestion on the list, but like I keep saying, I’ll be back to New York… soon. A special thanks to Mark and your wonderful partner for not only giving up a seat for us that evening, but for humoring us as well. Our night at Little Branch was a peak travel experience for us and we appreciate the part you played in it. This is without a doubt one of the best meals you can have in NYC! It’s amazing. Someone should do this in Van! Maybe a food cart…..
Shhhh, don’t tell people about our idea!